Indoor and Outdoor Wildlife in New Jersey. 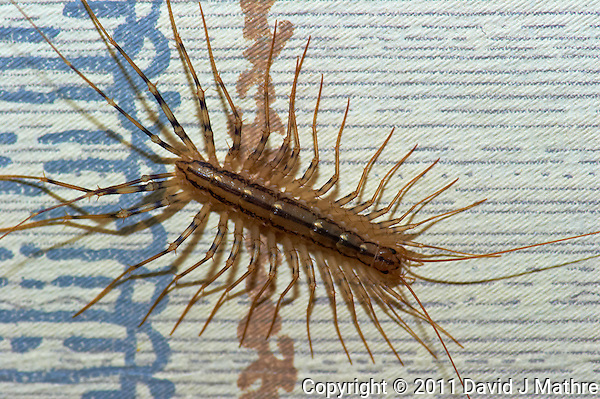 Another macro image of a Scutigera Coleoptrata (House Centipede) crawling on the wall indoors. It is not a silverfish. Outside, I got to test out a new telephoto lens. Scutigera Coleoptrata (House Centipede) — Not a Silverfish. Image taken with a Nikon D3x and 105 mm f/2.8 VR Macro + TC-E 20 (ISO 800, 210 mm, f/11, 1/250 sec) with SB-900 Flash. Raw image processed with Capture One Pro 6, Focus Magic, and Photoshop CS5. 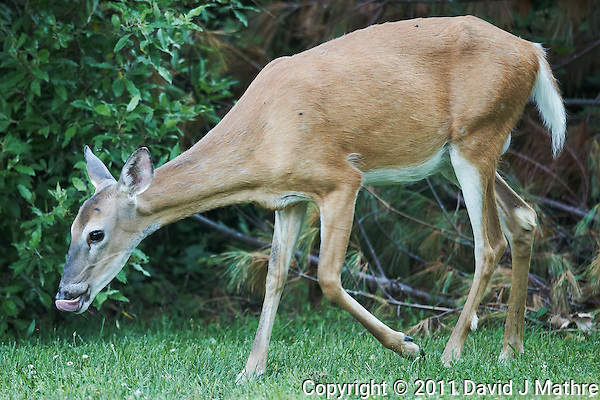 Doe Licking Her Lips — Backyard Nature in New Jersey. Image taken with a Nikon D3s and 600 mm f/4 lens (ISO 1800, 600 mm, f/4, 1/400 sec) handheld. Image processed with Capture One 6 Pro, Focus Magic, and Photoshop CS5.